A very safe & secure Home stay, if you desire to spend less for a comfortable stay, still live in privacy very conveniently located. 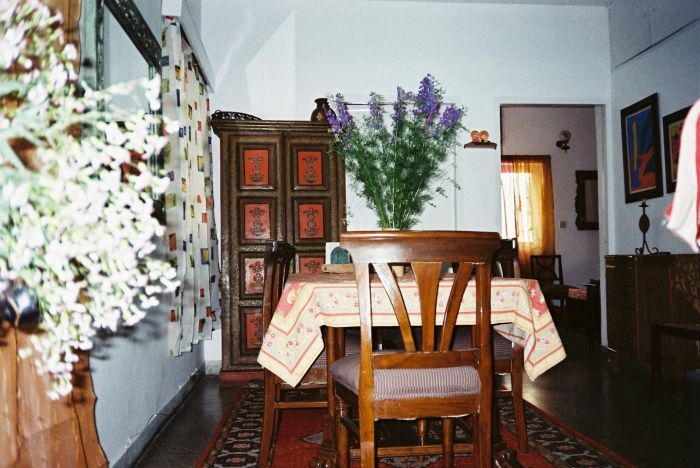 A Bed & Breakfast accommodation, nestled in the quiet of South Delhi, an affordable luxurious GUEST HOUSE wrapped in elegance and providing the comfort of a home stay, this lodging in Delhi is waiting to welcome you! Very close to both the International and Domestic Airports, yet not far from the hustle and bustle of Delhi and the City center. We are easily accessible to almost all parts of Delhi within 30 minutes of driving distance, be it to the colourful markets, for sightseeing, visiting friends or just on business. Close to JNU, IIT, Fortis Hospital, Indian Spinal Injury Hospital, Max Health Care. Very accessible to Gurgaon the NCR of Delhi where all the multinational and Airline offices are located. Very quiet you can actually hear the birds singing all day long!! Yet close the The Grand Hotel a five Star deluxe Hotel, JNU Campus, The Teri University apart from the many Corporates housed in other close by walking distance complexes. 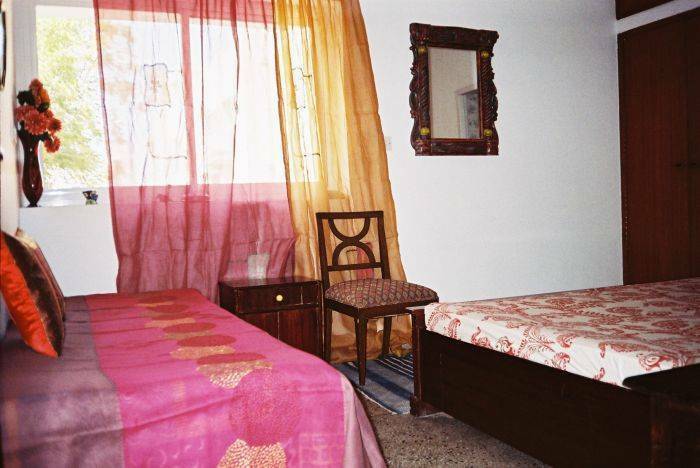 The Double room has the capacity of an extra bed and opens into a large window on one side with an attched bathroom. The King sized bed has ACD technology super deluxe mattresses with a double reinforcement for a greater back support. 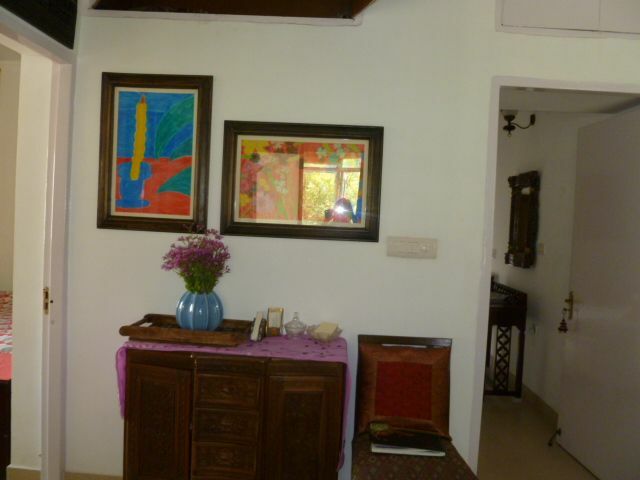 The room is equipped with air conditioning for summer and heating in winter at a nominal cost. The Twin/Double has the option of a twin bedded facility with an attached bath again the bed is for a straight back support. It has an attached balcony as well overlooking into the east. Another Twin/Double has the option of a twin bedded facility with an shared bath. The bed is for a straight back support. 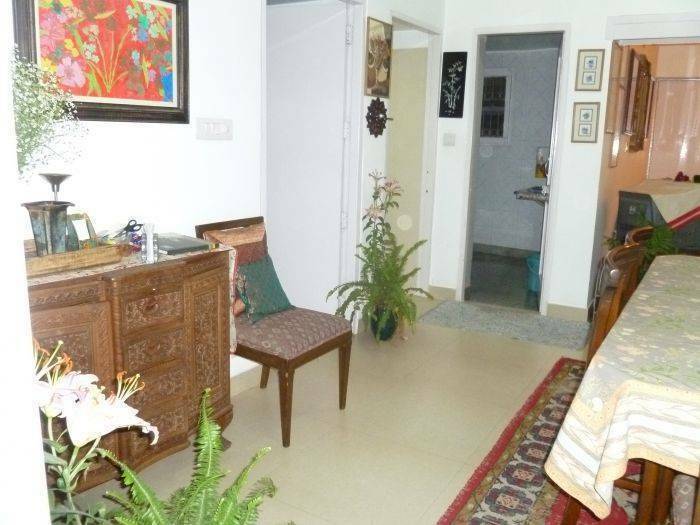 The room is open on the south to a sunny side equipped with air-conditioning facility in winter and is provided with heater at a nominal cost. Proof of residence, Photocopies of Passport / visa, valid land line phone numbers of residence and office, to be mailed along with the confirmation of booking. All payments are in cash on arrival. Full refund for cancellation up to 7 days prior to date of arrival. 50% refund for cancellation is less than 7 Days prior to date of arrival. No refund for failure to notify regarding cancellation or a no show. For the period December 20th to January 2nd, no refund for cancellation. 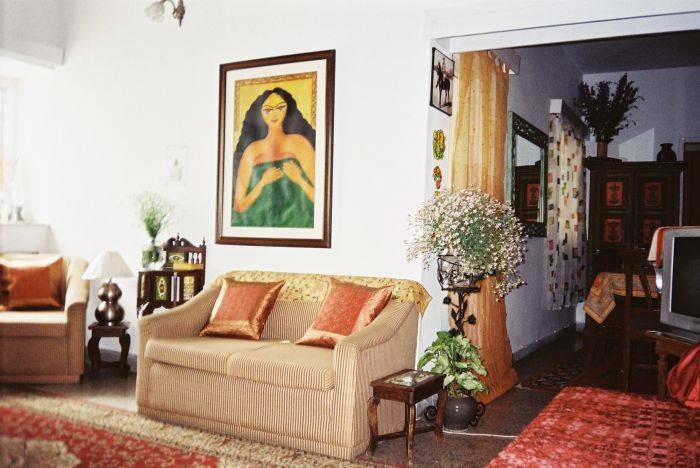 This Bed n Breakfast is located in a residential area yet right next to the DLF Promanede and the The Emporia Mall housing some of the Best shopping, cafes, bars, dinning & movie options of the entire city, from fine Dinning multi cuisine to the best of Indian to Mcdonalds & Domino's Pizzas. Lajpat Nagar	6. 1 miles away	23 min. 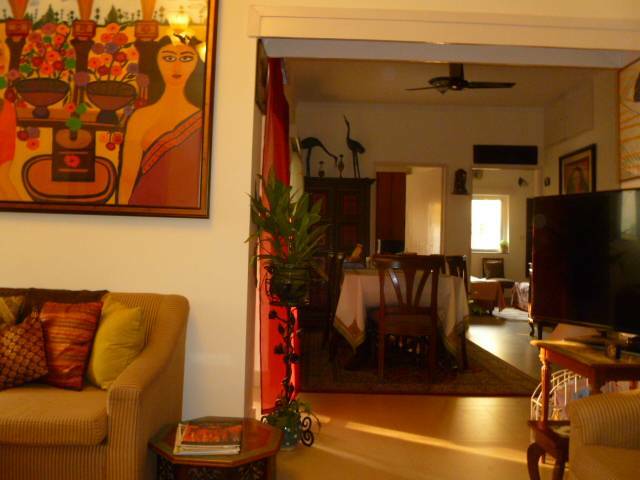 Palika Bazar, Connaught Place, New Delhi 8 miles away	28 min. Unit 1. Opposite the DPS School in Vasant Kunj. Metro is not so close , the bus stop is just across the road. Many auto rickshaws at the Gate. when coming from the airport - Take a pre-paid or let us know we will fix a taxi for you!